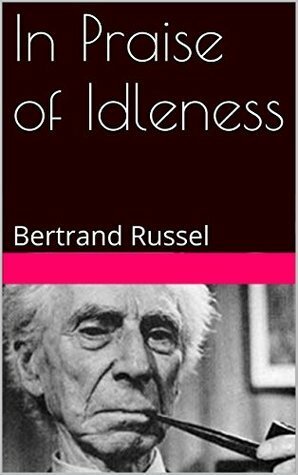 In Praise of Idleness is an essay written in between the two world wars and expands upon one of the points made in his Political Ideals essay. Once again, Russell manages to argue a challenging concept in an erudite and concise manner. Even if you disagree with him on the idea of work being overrated, there is value in engaging with what he is saying. Variations of this statement are still being made today around inequality. They tend to use far more words. I mean, could you be any more scathing of warmongering? While I think he does make his argument well, there are some points that are taken as a given. The example of the wasted effort of war in the quote above is one of those. There is a valid point made about how society managed to function despite being asked to drop everything and fight a war, but the point about war being a waste of time and that standards of living were still okay just has to be taken as a given. Worth a read, even if you disagree with Russell on some or all points. * Parkinson’s Law, coined in 1955.